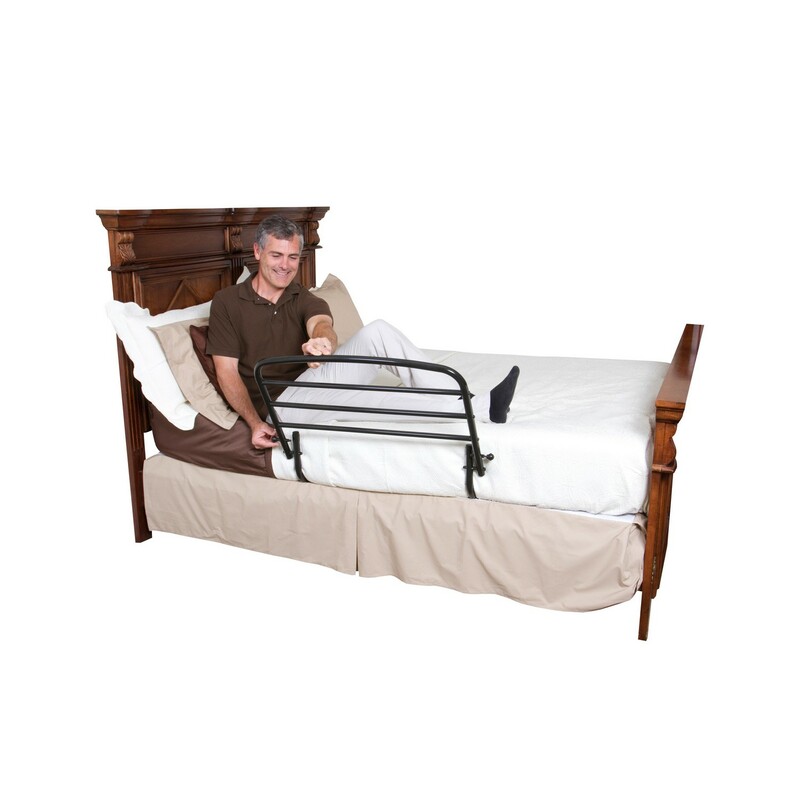 Adding a support rail to a bed gives caregivers peace of mind because it helps keep loved ones safe. 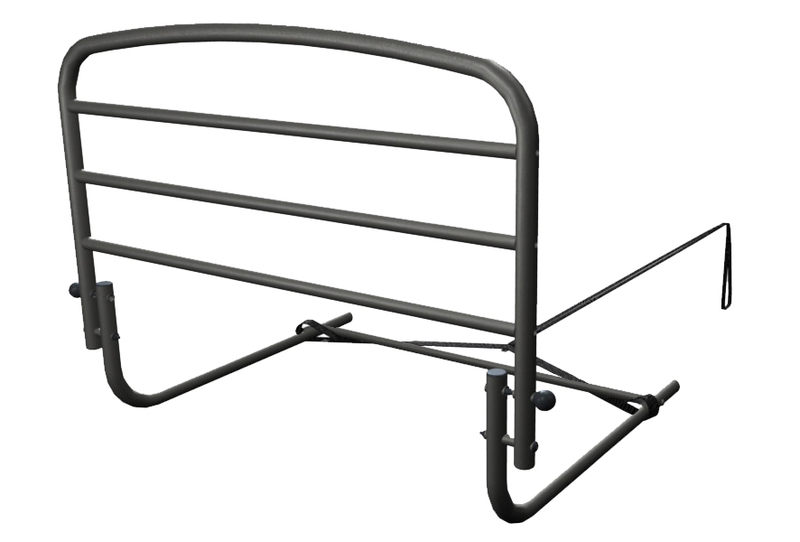 Stander's 30" Safety Bed Rail works well as a side rail for preventing falls, and as a support bar for getting in and out of bed. The rail folds down and out of the way when it is not in use - a great feature when it's time to make the bed. It can be installed on either side of the bed in between the mattress and box spring. 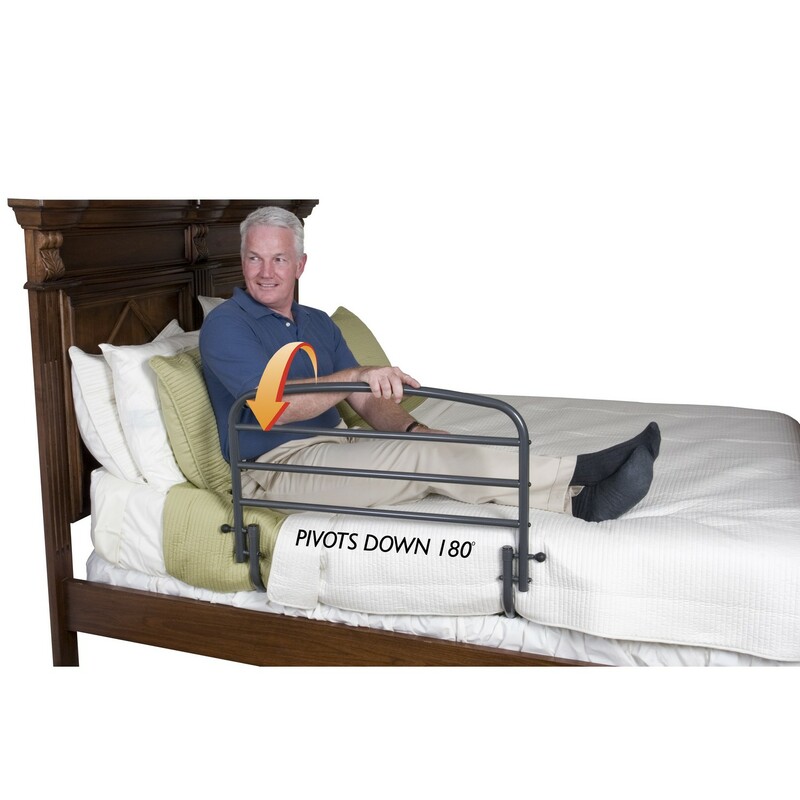 The 30" Safety Bed Rail attaches to the bed frame with a dual safety strap which provides stability and keeps it from getting bumped out of place. It works on any size home or hospital bed and at 23" high will accommodate taller pillow top mattresses.